Nowadays, cannabis sellers should have a good grasp of basic plant science beyond the role of THC and CBD. After all, cannabinoid and terpene knowledge go hand in hand, and a working understanding of both is a must before accurately forecasting a cannabis experience. Upwards of one hundred compounds found in cannabis are known or believed to interface with the human body, and endless different experiences are to be inspired by this multi-dimensional paradise. If this sounds like a lot to internalize, don’t worry. With the right budtender as your guide, all a shopper needs to know is how they’d like to feel—relaxed, happy, sleepy, creative, etc. That said, contemporary cannabis savvy is still pretty new—not to mention ever-changing—and reliability isn’t a guarantee, despite a sales staff’s best intentions. To help you avoid frustrating service or unreliable information, we’ve gone ahead and assembled a list of our preferred shopping experiences. 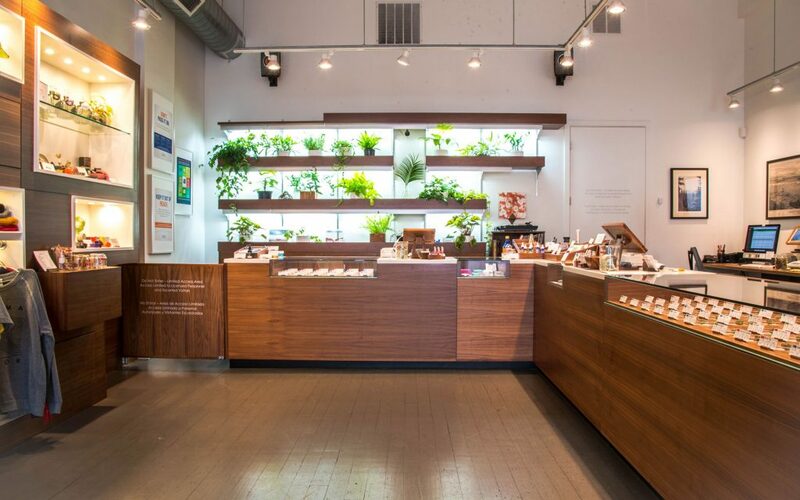 Whether you’re looking for accurate science, a friendly conversation, or some help approaching cannabis for the very first time, these Portland shops will treat you like one of their own. When a family member who was recently diagnosed with ALS asked me where she should go to get information about using cannabis to alleviate her symptoms, Farma was the first and only shop I was comfortable recommending. 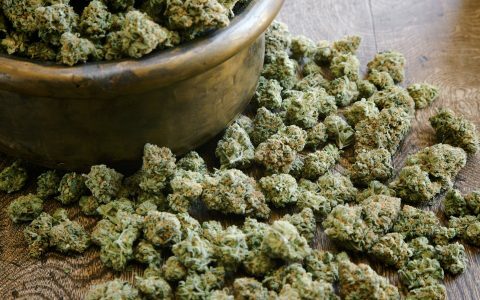 Farma’s earned a strong reputation as the retailer for cutting-edge scientific insight and up-to-date medical information regarding all things cannabis. A dedicated science director is on staff to answer questions, and their sales team is held to strict standards of accuracy. This is in part due to the well-tooled and inquisitive leadership team as helmed by canna-science expert Jeremy Plumb, but Farma takes their role as community educators seriously, installing informational failsafes at every level: a dedicated science director is on staff to answer questions and pass down relevant info to anyone who needs it, and their sales team is held to strict standards of accuracy. 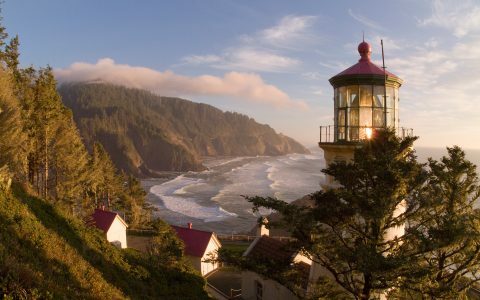 Perhaps it’s needless to say after all that brainy backgrounding, but Farma’s products are some of the finest in Oregon, ranging ornamental and efficacious top-shelf options, sustainably farmed sungrown products, and a selective menu of concentrates, pens, edibles, and topicals. Not only is Farma a shop where newcomers and seasoned consumers can find solid information, but it’s a place where connoisseurs will have an easy time discovering something new and wonderful. Electric Lettuce is a nostalgic, Summer of Love-lifestyle brand and multi-location retail chain owned by canna-business conglomerate Groundworks Industries. Groundworks also operates the upscale multi-location retail brand Serra, as well as organic-equivalent indoor farm, Prūf Cultivar—where Farma’s Jeremy Plumb oversees the plant life as Director of Production Science. Naturally, Prūf’s scientifically refined sister flowers can be purchased at both chains. Highlights include Tangie Biscotti—a lucid and satsuma-flavored mood enhancer—and the afternoon erasing Pineapple Zest (which offers a flavor true to its name). But Electric Lettuce also works with other top-tier manufacturers, including Yerba Buena, High Noon Cultivation, and 7 Points Oregon. Eschewing the indica-sativa binary, Electric Lettuce offers a classification system of their own invention, qualifying products based on effects rather than regional origins: Head and Body and Strong and Mild variables are indexed atop an x-y axis, thus placing strains at coordinates described as Groovy, Cosmic, Active, Aware, Mellow, and Easy. While this system is admittedly limited, I’m a big proponent of shopping based on how you want to feel, and Electric’s simple approach is a decided step in that direction. 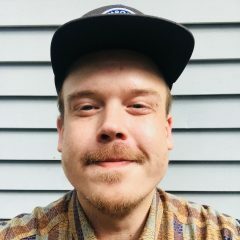 To help shoppers navigate the graphs and generous options across the usual product categories, the Electric Lettuce staff offers friendly and professional guidance—though they’ll also happily show you all the vintage issues of High Times they keep on hand. In total, it’s an intuitive style of service: neither overbearing nor under engaged, calibrated to detect the kind of interaction a customer is looking to have—whether that be a plant-science explainer or an expedited run-through of the day’s herbal highlights. Address: 1937 NE Pacific St. Located in a quaint Northeast Portland craftsman residence originally constructed as a home, Home Grown Apothecary doubles as both a comprehensive apothecary and a cozy cannabis retailer—dispensing flower from a rigorously vetted group of natural and organic cannabis producers. The front room is stocked with dried herbs not-cannabis, tinctures of the same, and tons of giftable tea blends. Beyond the apothecarian library of tiny wonders is a diminutive cannabis showroom. 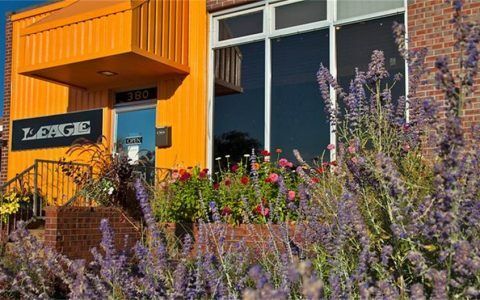 The shop is uniquely tooled to help consumers find safe and holistic herbal combinations tailored to their wellness goals and desired moods. The walls are lined with shelves of flower and the floorspace is consumed by glass display cases—those densely filled with a variety of tinctures and concentrates, including RSO options for folks with wellness and medical intentions, plus an edibles menu that includes real-food vittles like Hunny Bears’ infused almonds, as well as Elbe’s world-changing cake balls that are created using A-grade flowers and real, rich butter for a superior high and flavor. 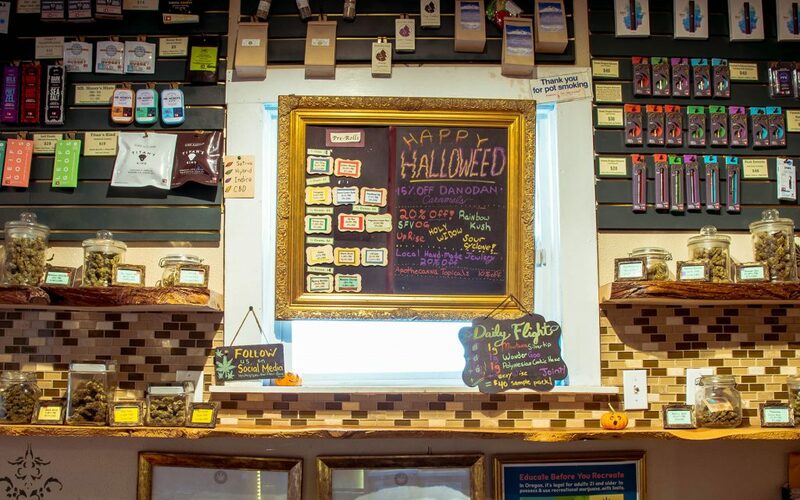 Given Home Grown’s idiosyncratic apothecary component and their careful attention to stocking natural, organic, and Clean Green Certified cannabis products, the shop is uniquely tooled to help consumers find safe and holistic herbal combinations tailored to their wellness goals and desired moods. If that sounds like something you’d like to explore, Homegrown Apothecary is the destination. In my mind, Fidus PDX is synonymous with gold-pen professionalism. Terpene reports in leather binders. Expertly manicured and museum-quality organic cannabis to match. A sense of transparency and clarity with each and every flower to grace the showroom. 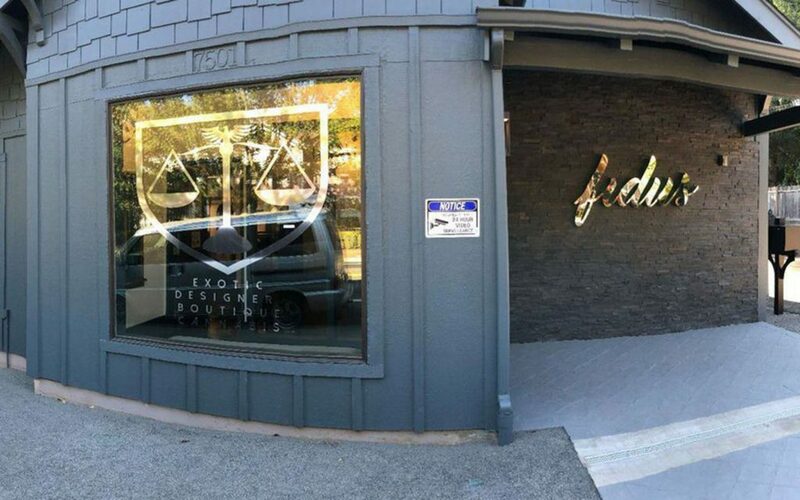 Unlike other Portland shops, Fidus sells no third-party products. From herbs to edibles to pre-rolls, everything is grown in-house and created using those same flowers. This bold vision for singularity was made real by a team of growers that matured into mastery within the state’s medical program—offering combined decades of experience honing an organic-equivalent approach to connoisseur-class indoor flower production. Despite occupying the building where beloved med-era dispensary Calyxes once stood, the growers at Fidus have made great strides to distinguish themselves as a unique force in Portland cannabis. 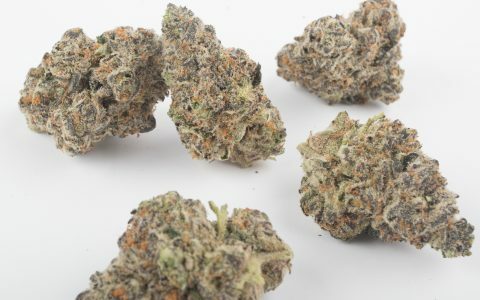 The opening salvo was their rendition of Quantum Kush, the Homegrown Natural Wonders-bred favorite that earned a positive reputation at select shops where it was sold back before Fidus went brick and mortar. Also look out for Fidus’ boutique, limited-run truffles: a collaboration with Crop Circle Chocolates that folds their house flowers into flavors like ginger, raspberry, and yuzu fruit.